Where should I start now?? ?….First of, I really enjoyed making the recipe…I hope everyone else did too making their’s!! Trying different, authentic recipes is something I love to do. 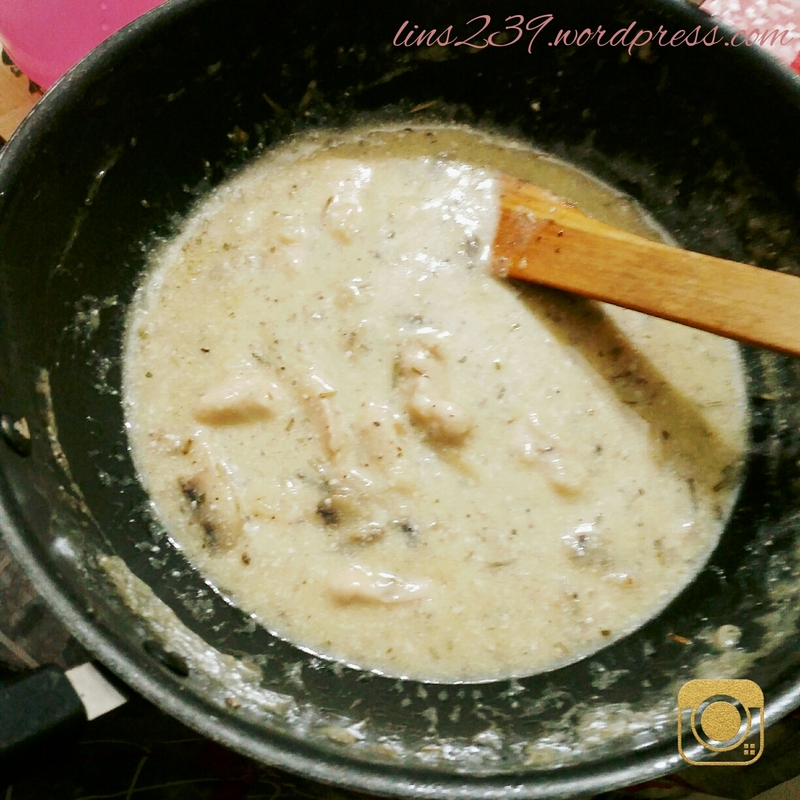 CHICKEN FRICASSEE is also a very traditional French recipe. I felt it was sort of a gravyish soup. What will mesmerise you, is it’s aroma. The wine and mushroom together give rise to this wonderful aroma that captures your senses right away. At every stage, the aroma becomes stronger and stronger. You can exactly figure out when it’s time to add the next ingredient with the smell. I adapted the recipe from a cookbook called New All Colour Hamlyn Cookbook. I had spent a long time Googling for the perfect recipe, when I had had it already, right under my nose. Something told me I had to check that book once since it mostly has many French recipes. 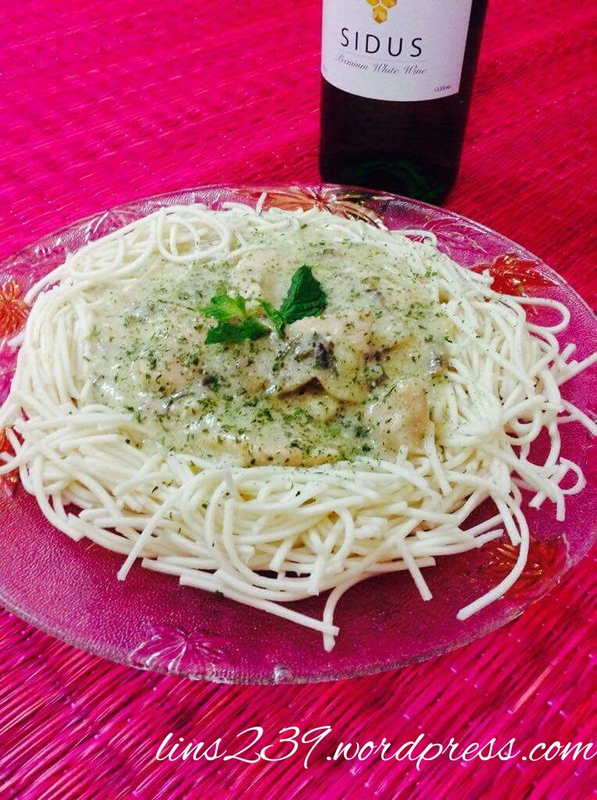 We can serve this with any type of bread, cooked pasta, flavoured rice, spaghetti or noodles( like I did! XD!). In the book she had served it with cooked rice. I substituted the sour cream with beaten yogurt and used rosemary and parsley for flavour. I’m not a very Thyme person. 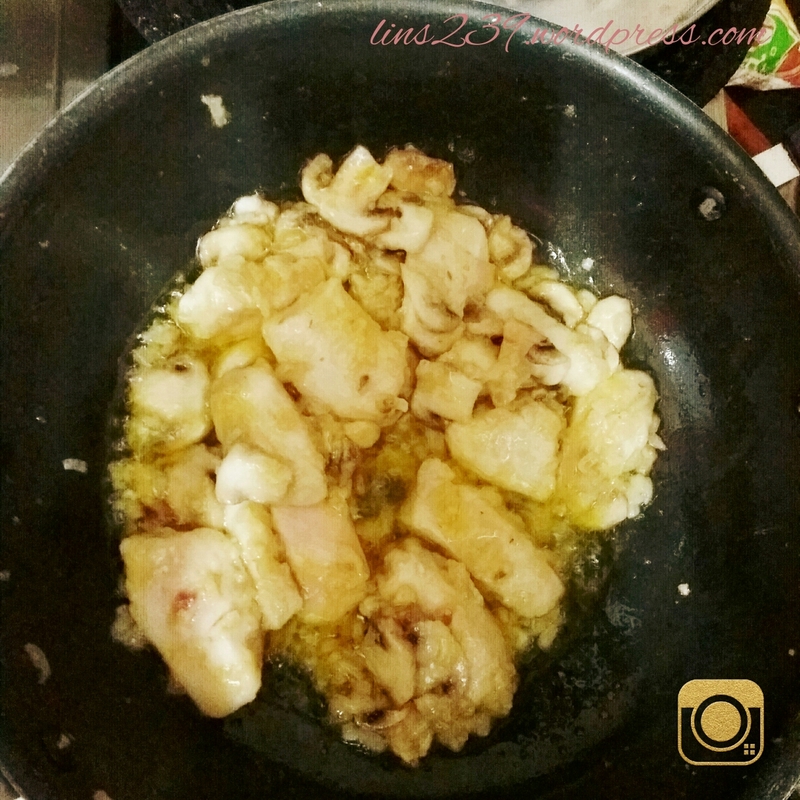 Slice the breasts into 2 & 1/2 × 1 inch pieces. Finely chop the onions. Dice the mushrooms after cleaning them well. 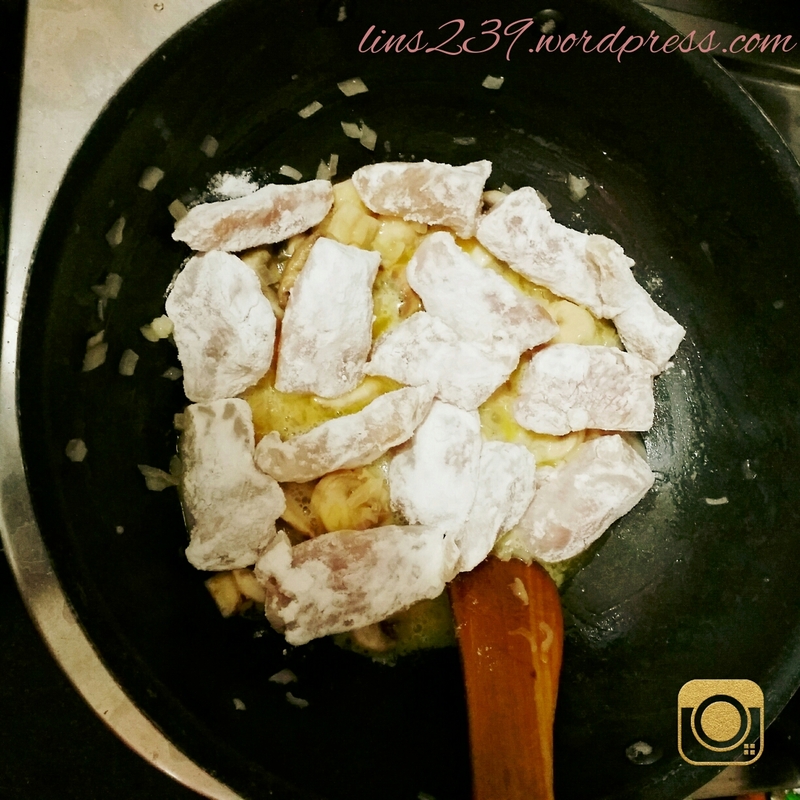 Toss the chicken pieces in flour. 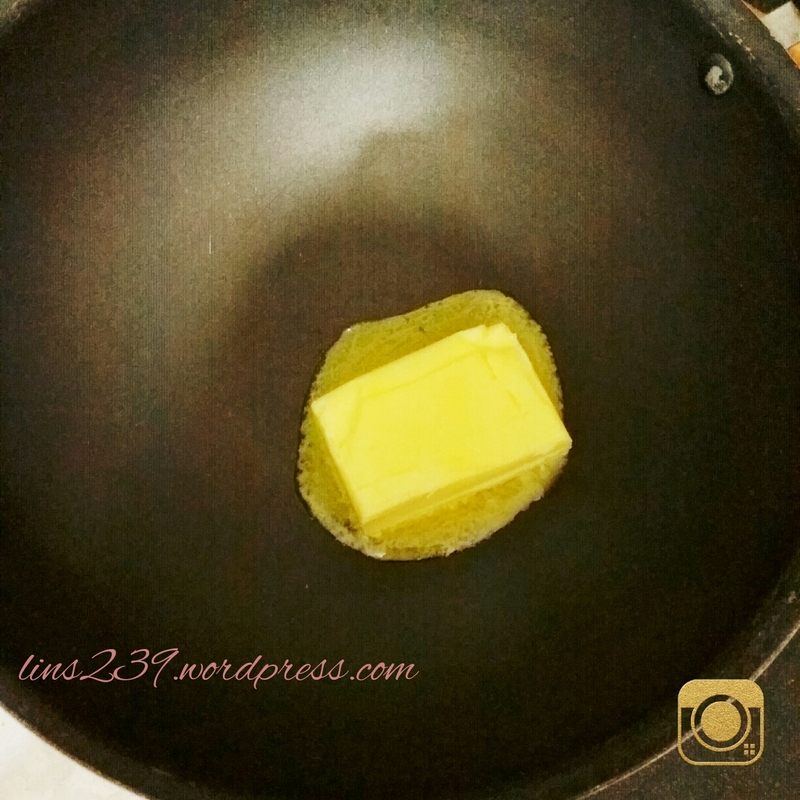 In a pan add the butter. 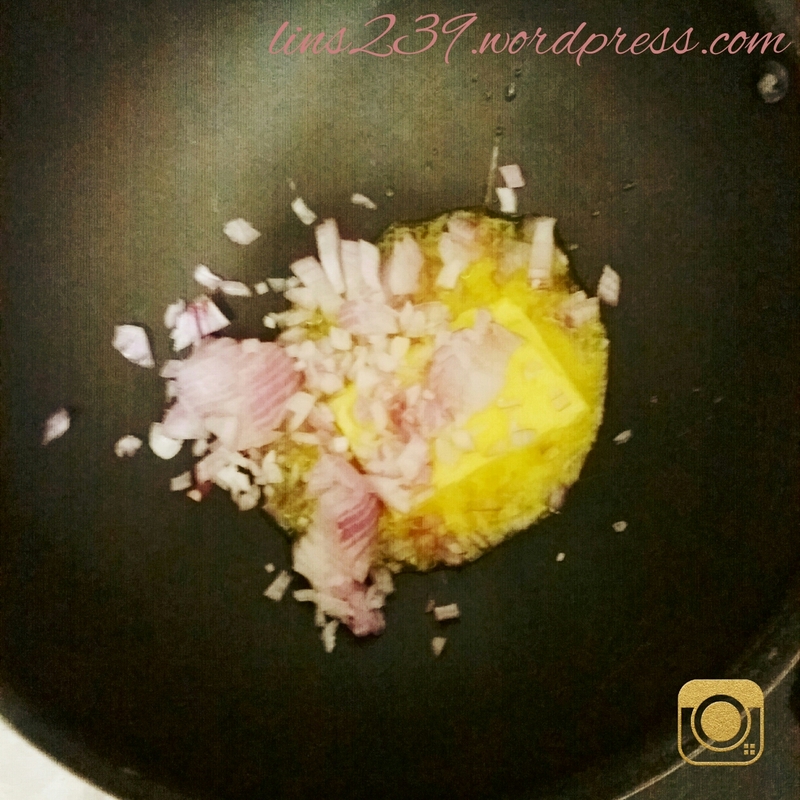 Once it starts melting, add the onions and stir fry them until they turn translucent. 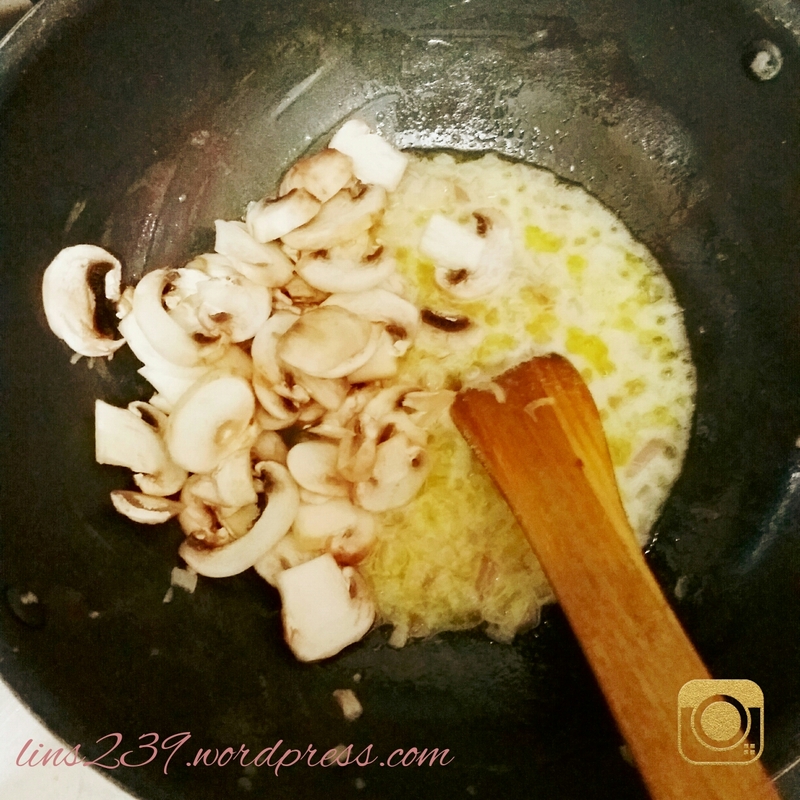 Add the mushrooms and stir well without breaking them for another 3 minutes on meduim flame. Then add the tossed chicken pieces. Once they turn golden browm all over, ie, within 7 to 8 minutes, sprinkle the rosemary over. Add salt and pepper to taste. Now add the chicken broth and wine. 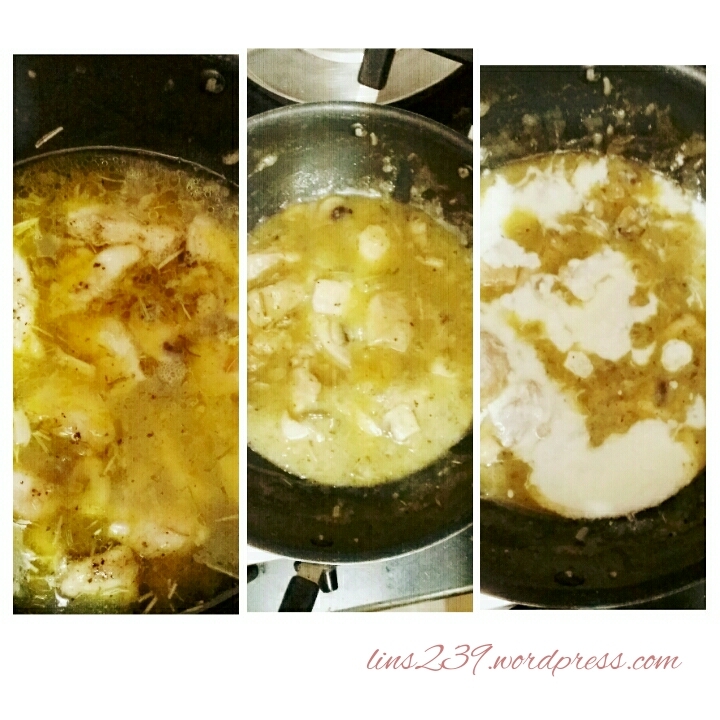 Simmer and cook for atleast 30 minutes till it reduces to an extent. You’ll start seeing a saucy texture. Then add the yogurt and cook for only a minute or so. Otherwise it might tend to break. Sprinkle parsley over it while serving. 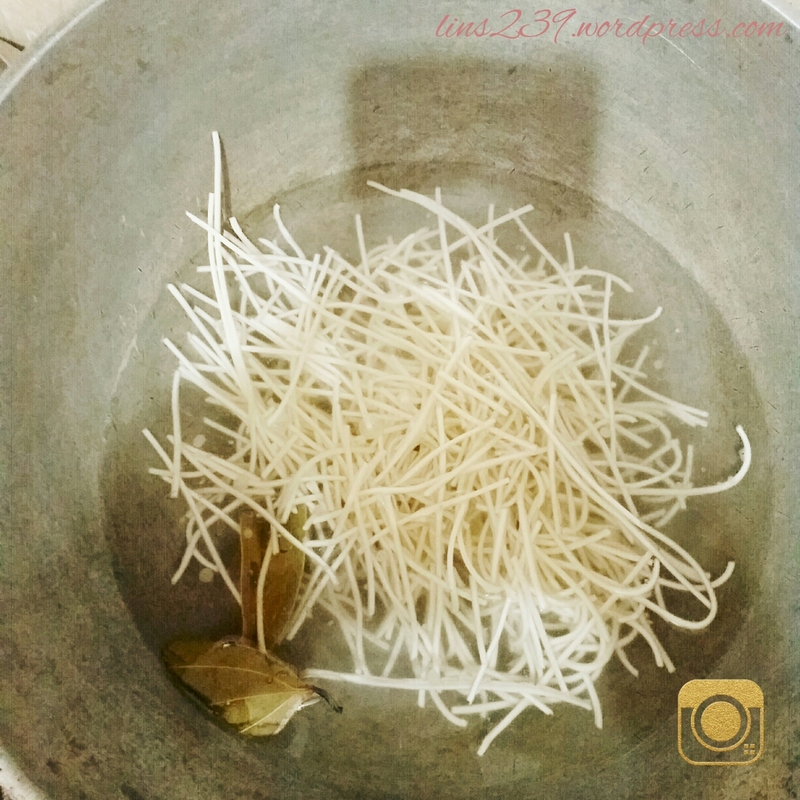 Cook the spaghetti in enough water with salt, bay leaf and 3 cloves. 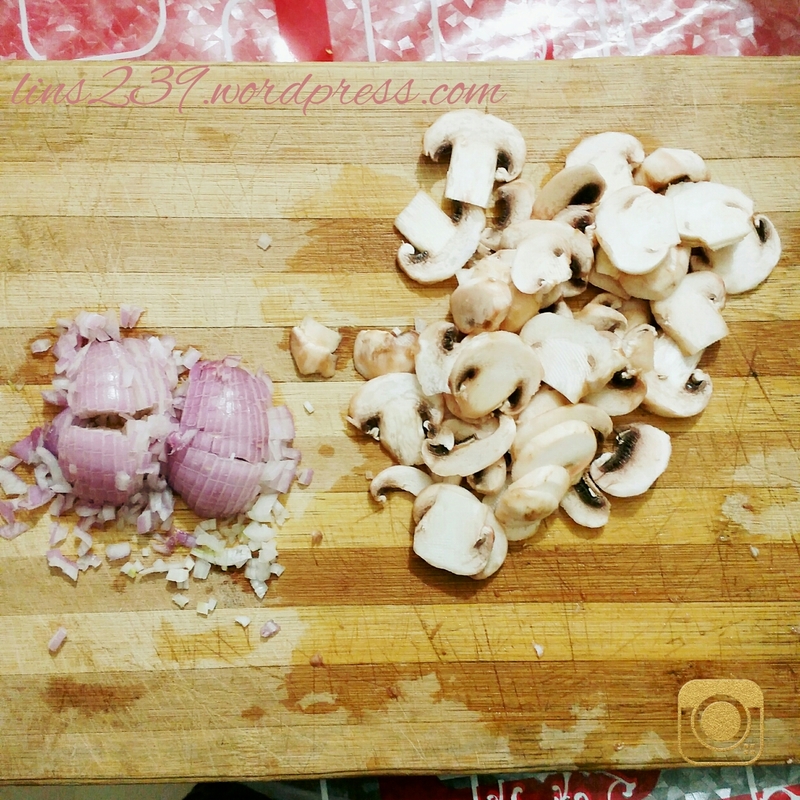 Serve hot with the Fricassee. I am taking this to the Rare Recipe Challenge . Jhuls from thenotsocreativecook.wordpress.com will be judging this challenge. Next Post Cake Challenge- Who is doing what and what’s remaining! Oh my goodness, it looks so good! Way to go! 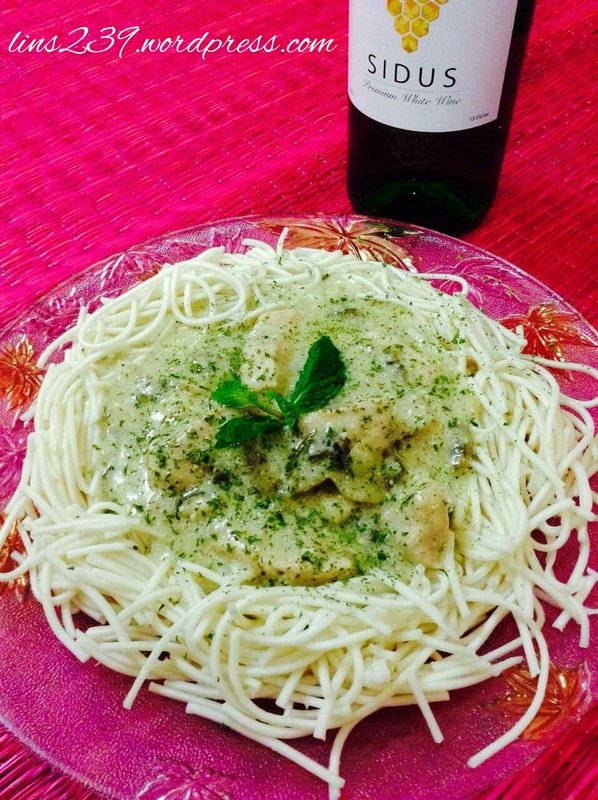 I love Chicken Fricasse – it happens to be on my list of recipes I’ve been meaning to post! We serve ours over mashed potatoes…so good! Great recipe! I love how you made sure to add the bottle of wine in the photo! Such good taste! Yummmm!!!! This was the first time I ever used wine in cooking. I’ve used it only in baking before. So I was quite skeptical about it, but then it turned out fine. It was different from what we usually have! Wine in cooking is really good! Julia Child often used vermouth and it really adds a great taste! Idk what that is…I’ll Google it… it’s hard to find different wines here in India and even if we find it, it’ll be really overpriced. I wish you a lovely week ahead. Thank you so much Jhuls! I am so glad you are judging the first ever challenge! The list for Feb is already up, I think there are only 3 recipes remaining. I would love to have you as a participant! Thank you once again! The Chicken Fricasse was amazing! You should surely try it!! It’s really a pleasure, Lina. 😉 I think the only thing confusing me is how do I choose the recipe? 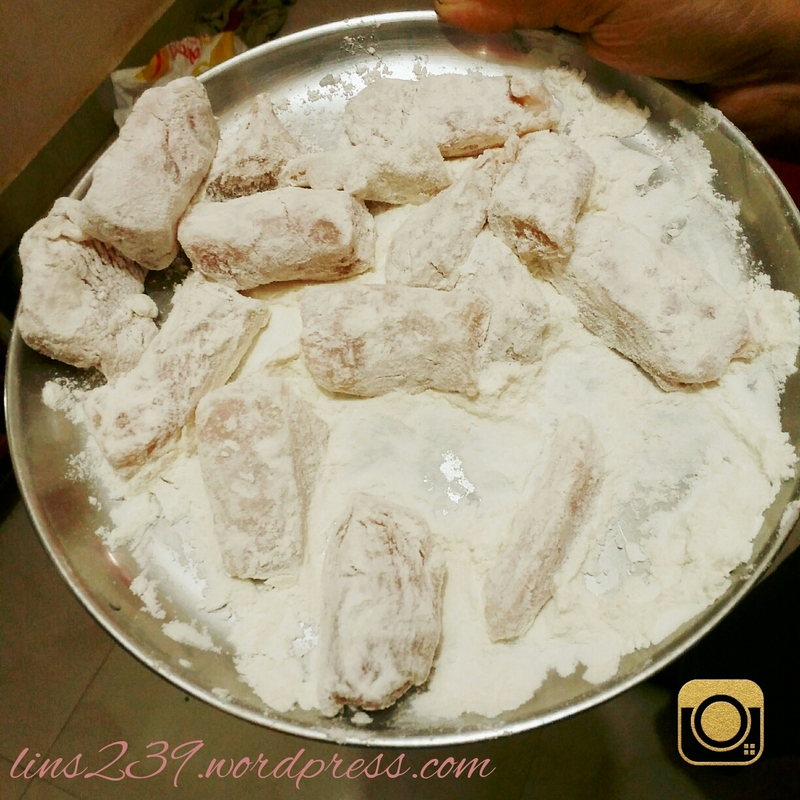 https://lins239.wordpress.com/2016/01/19/cakes-we-have-to-try-this-feb/ here’s the link for you Jhuls! Hmm, I checked them out. And you have chosen some of the best, rare recipes. Most of them, I never heard of them. You are doing a great job, Lina. Thanks Jhuls! This is actually a rare cake challenge specifically! I’m hence really excited to see how everyone will present their recipes. Nice start to the challenge Lina. Your recipe looks delicious. Any way we can substitute wine? And what do you want us to do with our posts. 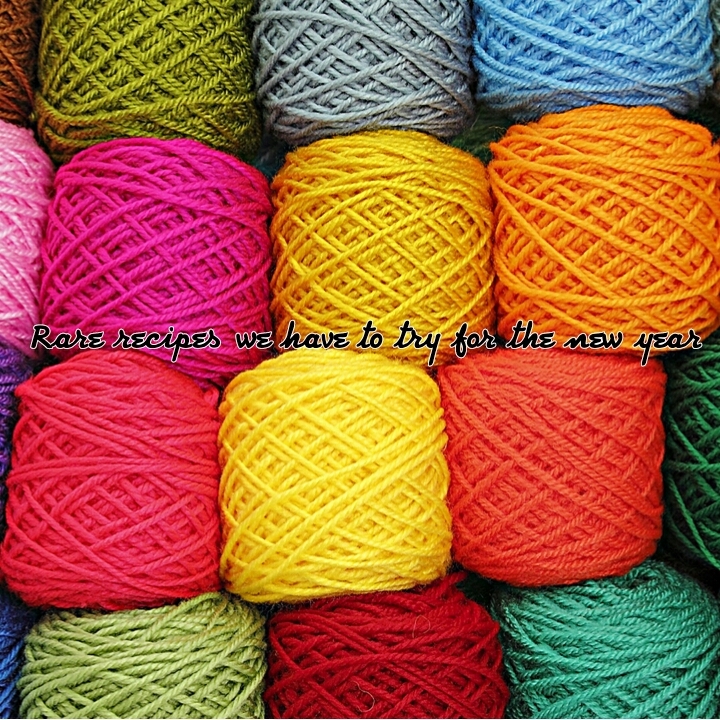 Publish them on our blog and link you up or mail you the recipe? I love your description of the layers of aromas building and building as the dish cooked… my mouth started watering as I was reading! This fricassee looks perfect on a cold winter night! What a fabulous job Lina!! looks amazing! Interestingly I’ve never tried French cuisine, I need to try my hands at this! I like the idea of the special spices (rosemary, bay leaf and parsley) you added, Lina. I like thyme with a beef stew where it doesn’t overwhelm the meat. Chicken is so mild flavored, I like how you improved the recipe to this classic dish. 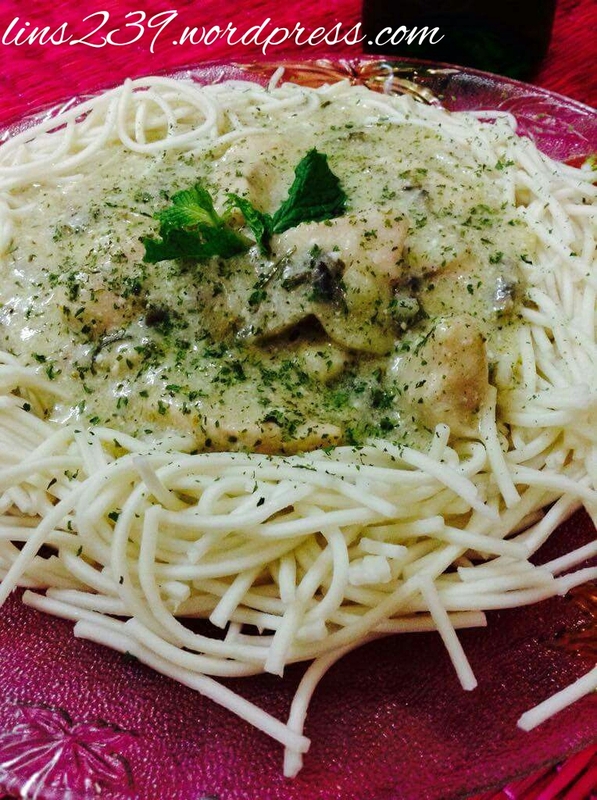 Your chicken fricassee looks amazing. I like the mushrooms, wine, onions, butter, subbing yogurt is really great. I do like dour cream and it is not fattening. Some people think it is! Yes, the aroma of a really good recipe — it’s what draws one in! Too bad on the Internet there’s no Scratch n Sniff! (Or, considering the Internet in general… perhaps this is just as well…) I’ve probably eaten chicken Fricassee in the distant past, but I know I’ve never made it. By the way, thank you for organizing this! Thanks a lot for the wonderful comment…Please try it if you haven’t yet😊😊😊..thanks for participating! It is you’ll who make this fun! Amazing.. Love the ingredients. Now let me think how to make it vegetarian.. this was a great challenge. Great recipe. I guess soy chunks! Thank you sooooo much..Btw you haven’t added your recipe to the linking tool yet! Add it so that others can also view it! This looks wonderful, Lina, and the aromas you describe are enough to make the mouth water! I’d like it with any of the accompaniments you mention.I love rice and most types of pasta, and like the look of it with spaghetti very much.